Below you fill find all funeral homes and cemeteries in or near Corona del Mar. Suburbs of Corona Del Mar: Corona dl Mar. Corona Del Mar is also known as: Corona del Mar, California, Corona del Mar, Newport Beach, California, Corona del Mar, and Newport Beach. Zip codes in the city: 92625. Some of the notable people born here have been: Sam Mikulak (gymnast), and Bree Condon (fashion model and model). 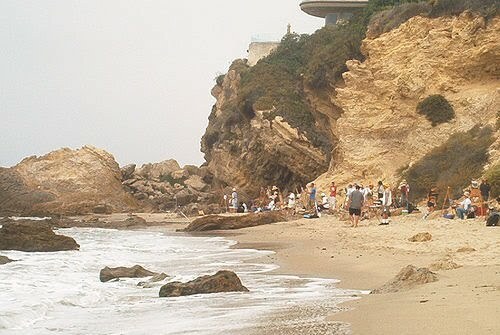 Corona del Mar or CdM (Spanish for "Crown of the Sea") is a town in the affluent city of Newport Beach, California. It generally consists of all land on the seaward face of the San Joaquin Hills south of Avocado Avenue to the city limits, as well as the development of Irvine Terrace, just north of Avocado. Corona del Mar is known for its fine beaches, tidepools, cliffside views and quaint village shops. Beaches in the area include Corona del Mar State Beach as well as Crystal Cove State Park south of Corona del Mar, accessible by paths winding down a steep hillside.Settled early in the 20th century, the older area of Corona del Mar consists mostly of closely spaced, free-standing, detached single-family houses of varying architecture, concentrated along Pacific Coast Highway (also known as "PCH" or State Route 1). Newer developments in Harbor View Hills consist of California ranch style houses, many with expansive ocean views.Corona del Mar has no locally administered municipal government, but receives all municipal level services from the City of Newport Beach, and has a representative to the Newport Beach City Council. It is unusual in that although it is a part of the incorporated city of Newport Beach, the post office accepts a mailing address of Corona del Mar for those residents living in the 92625 ZIP Code. Corona del Mar also has its own Chamber of Commerce. It was written by Orange County Register on March 22nd, 2019 that David Palladini perished in Corona Del Mar, California. Palladini was 72 years old and was born in Roteglia, . Send flowers to share your condolences and honor David's life. It was reported by Orange County Register on March 19th, 2019 that Enid Frances Hofmann (Schuth) died in Corona Del Mar, California. Ms. Hofmann was 93 years old. Send flowers to express your sympathy and honor Enid Frances's life. It was reported by Orange County Register on February 14th, 2019 that Wallace C Olson perished in Corona Del Mar, California. Olson was 91 years old. Send flowers to share your condolences and honor Wallace C's life. It was revealed by Orange County Register on February 6th, 2019 that Joyce Gertrude Palmer passed on in Corona Del Mar, California. Palmer was 86 years old. Send flowers to express your sympathy and honor Joyce Gertrude's life. It was written by Orange County Register on February 1st, 2019 that Fred G Sparks passed on in Corona Del Mar, California. Sparks was 81 years old. Send flowers to share your condolences and honor Fred G's life. It was written by Orange County Register on January 10th, 2019 that William Jerome "Jerry" Schubert died in Corona Del Mar, California. Schubert was 86 years old and was born in Seattle, WA. Send flowers to express your sorrow and honor William Jerome "Jerry"'s life. It was noted by Orange County Register on December 28th, 2018 that Jeffrey Allen Conway passed away in Corona Del Mar, California. Conway was 56 years old. Send flowers to express your sorrow and honor Jeffrey Allen's life. It was noted by Orange County Register on November 17th, 2018 that Mary Haapa passed on in Corona Del Mar, California. Haapa was 101 years old and was born in Warren, OH. Send flowers to express your sympathy and honor Mary's life. It was disclosed by Orange County Register on November 8th, 2018 that Margaret Eileen "Peggy" Darnell (Lenahan) died in Corona Del Mar, California. Ms. Darnell was 77 years old. Send flowers to express your sorrow and honor Margaret Eileen "Peggy"'s life. It was noted by Orange County Register on October 31st, 2018 that Joan B Frederick died in Corona Del Mar, California. Frederick was 73 years old. Send flowers to share your condolences and honor Joan B's life. Beaches in the area include Corona del Mar State Beach as well as Crystal Cove State Park south of Corona del Mar, accessible by paths winding down a steep hillside. It is unusual in that although it is a part of an incorporated city, the post office accepts a mailing address of Corona del Mar for those residents living in the 92625 ZIP Code, and the community has its own Chamber of Commerce. 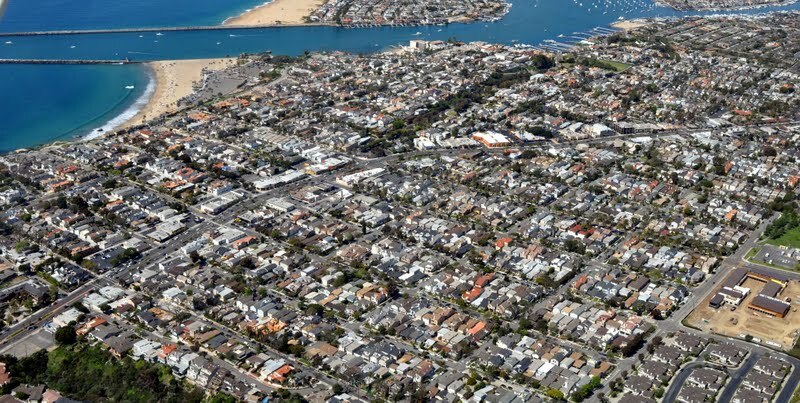 Corona del Mar has no locally administered municipal government, but receives all municipal level services from the City of Newport Beach, and has a representative to the Newport Beach City Council. Settled early in the 20th century, the older area of Corona del Mar consists mostly of closely-spaced, free-standing, detached single family houses of varying architecture, concentrated along Pacific Coast Highway (US) Coast Highway (also known as "PCH" or California State Route 1 Route 1). Corona del Mar (Spanish language for "Crown of the Sea") is a neighborhood in Newport Beach, California. Same Day Flower Delivery In The City Of Corona del Mar California. Order Your Flowers Online With A Local Florist Serving The Corona del Mar, CA Area. Send funeral flowers to Pacific View Memorial Park in Corona Del Mar California with Everyday Flowers a florist located in Orange County California. Florists in Corona Del Mar, CA on Yahoo! Local Get Ratings & Reviews on Florists with Photos, Maps, Driving Directions and more. We work with local florists and flower shops to offer same day delivery. You will find budget sympathy flowers in Corona del Mar here. Our funeral flowers are cheap in price but not in value.